Mountain View, CA, January 25, 2010 – eHealth, Inc. (NASDAQ: EHTH), parent company of eHealthInsurance, today announced that it is entering the online retail Medicare insurance market in the state of Maryland by adding Medicare Supplement plans from CareFirst BlueCross BlueShield (CareFirst) to its online retail web site, eHealthMedicare.com. eHealthMedicare is a new online service from eHealth that helps consumers learn about, and get access to, quality Medicare health plan options. The Medicare Supplement plans from CareFirst are the first Medicare products to be made available for online purchasing in Maryland, or anywhere else in the country through eHealthMedicare.com. 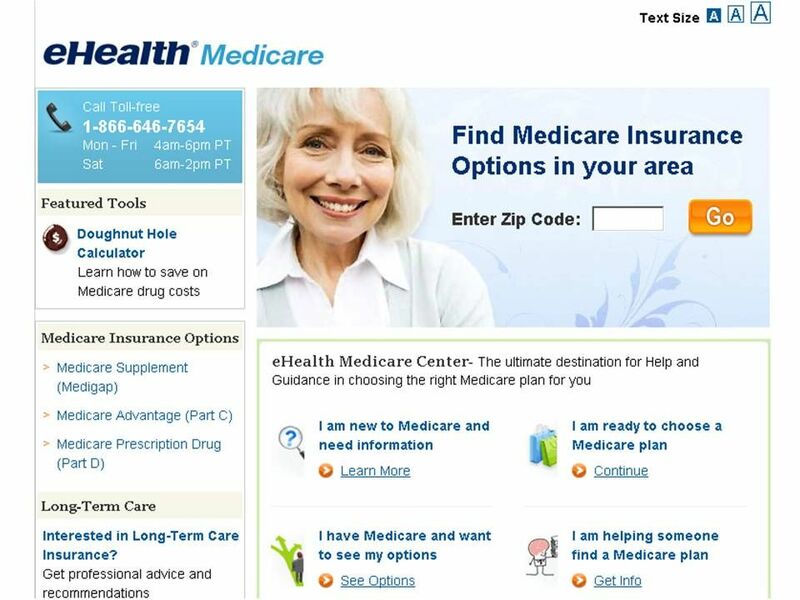 eHealth’s online offering allows Medicare-eligible consumers to obtain accurate premium quotes, compare benefits from a variety of Medicare Supplement Plans and enroll online using easy-to-use e-signature and e-payment technologies. eHealth also provides free personal assistance from licensed health insurance professionals employed by eHealth and certified to provide assistance on Medicare Supplement plans from CareFirst. Through www.eHealthMedicare.com, Senior Americans and other Medicare-eligible consumers also have access to easy-to-understand information about the federal government’s traditional Medicare program as well as private Medicare options, and eHealthMedicare’s “Doughnut Hole Calculator,” powered by DestinationRx, which is designed to help consumers save money on their prescription drug costs. In its 72nd year of service, CareFirst, an independent licensee of the Blue Cross and Blue Shield Association, is a not-for-profit health care company which, through its affiliates and subsidiaries, offers a comprehensive portfolio of health insurance products and administrative services to nearly 3.4 million individuals and groups in Maryland, the District of Columbia and Northern Virginia. Through its CareFirst Commitment initiative and other public mission activities, CareFirst supports efforts to increase the accessibility, affordability, safety and quality of health care throughout its market areas. This press release contains forward-looking statements as defined within the Private Securities Litigation Reform Act of 1995. These include statements regarding eHealth’s strategies and commitment relating to the Medicare market. These forward-looking statements are inherently subject to various risks and uncertainties that could cause actual results to differ materially from the statements made, including risks associated with demand in the Medicare market; delays in expanding eHealth’s presence in the Medicare market; eHealth’s ability to establish relationships with health insurance carriers in order to offer their Medicare products on favorable terms or at all; eHealth’s ability to effectively market the availability of Medicare products on its ecommerce platform; user experience on eHealthMedicare.com; the effectiveness, performance, reliability and availability of eHealth’s ecommerce platform in selling Medicare products; ecommerce security risks; the success of eHealth’s relationships with partners and insurance carriers; economic conditions; health care reform; compliance with insurance and other laws and regulations, including compliance with a number of laws and regulations relating specifically to Medicare products and changes in those laws and regulations. Other factors that could cause results to differ are described in eHealth's most recent periodic report as filed with the Securities and Exchange Commission and available on the investor relations page of eHealth's website at www.ehealthinsurance.com and on the Securities and Exchange Commission's website at www.sec.gov. eHealth does not undertake any obligation to update any forward-looking statement to conform the statement to actual results or changes in expectations.